Vietnam is an amazing and wonderful country in Southeast Asia because there are a lot of imposing landscapes for traveling. Besides that, when visiting Vietnam, tourists also have a chance to admire and enjoy “must-try” things to do in a pretty country. 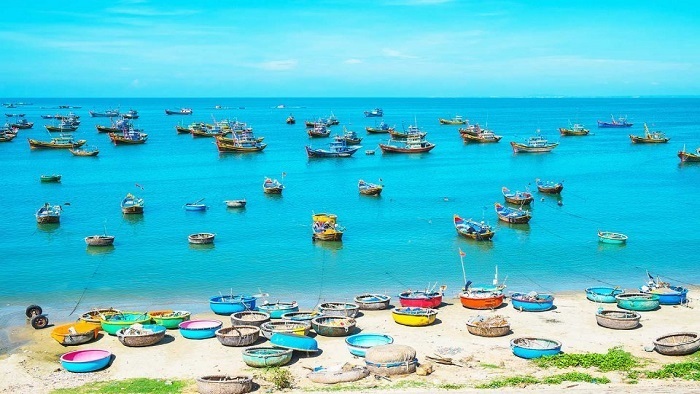 Vietnam is known as an attractive country with the long and beautiful coastal line, therefore, when visiting Vietnam, you have to enjoy imposing beaches there, especially summer. Danang is famous as the most beautiful coastal city in Vietnam. The sea in Danang is both beautiful and clean. When visiting Da Nang beach, you will be able to relax under the clear water and play beach sports such as surfing, parasailing, canoe or coral watching, and etc. It is not wrong to say that Danang is an extremely impressive place at night. One of the biggest attractions in the city center, it is the Dragon Bridge. Dragon Bridge not only shines a light at night but also knows how to spray water and spray fire. Coming to this place on Saturday and Sunday nights every week, at 9 pm, visitors will admire this performance of Dragon Bridge. 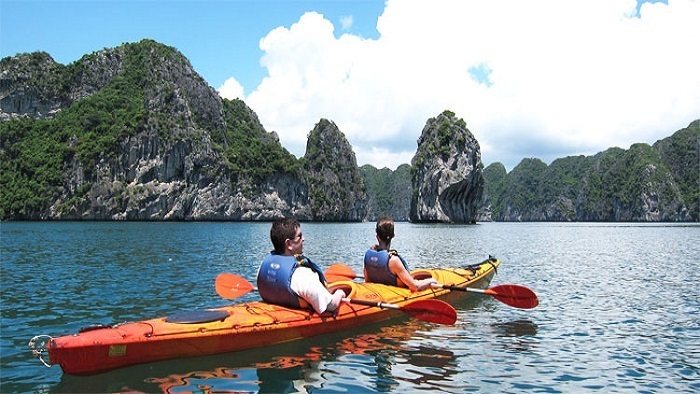 One of the most famous and interesting things to do in Vietnam is kayaking and canoe. If you want to experience the feeling of sailing around the most beautiful places in the region, you can join the journey to explore the bay on kayaks or bamboo boats. You can rent and kayak all day without having to take a tour. Furthermore, when enjoying these activities, it always has observers rescue to ensure your safety during the journey, so be assured and happy to participate in this exciting activity. Therefore, the best place for enjoying these activities in Halong Bay. Furthermore, when visiting the place, you don’t forget to enjoy the cruise tour which is also one of the most attractive things in the place. Halong Bay is one of the must-see destinations in Vietnam. Therefore, when visiting the place, tourists can not miss out the chance to admire the whole beauty of Halong Bay from the sky by seaplane. With flight times arranged at the most beautiful and appropriate time, the 25-minute flight will surprise you. With more than 2000 islands and large, beautiful limestone cliffs and bays, Halong is a great place to fly for sightseeing. This is a perfect choice when visitors come to enjoy Halong which is considered as Vien Dong pearl. 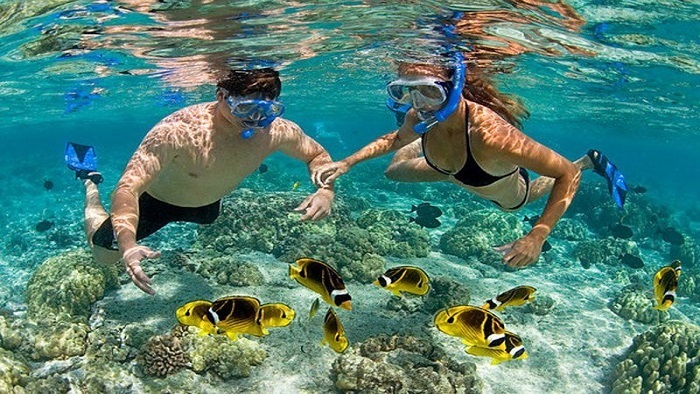 As you know Vietnam has a long coastal line with diverse marine creatures, therefore, you should spend the time to enjoy scuba diving in Phu Quoc island. Diverse marine ecosystems in the An Thoi archipelago to the south or the island of Nail and hilltops in North Island is an ideal place for visitors to explore the ocean world, especially the coral reefs where the strings Being ranked first in Vietnam in terms of abundance with 17 different types of hard, soft and different anemones. North Island has Hon Mong island and Doi Moi island where diving and watching very beautiful corals have many tourists. The South Island where the coral is seen as An Thoi archipelago in this archipelago has many uninhabited islands that swim and dive to see beautiful coral which is very enthusiastic participants. Night falls was the time to experience the cause minute relax while interesting activities night squid fishing. You will be transformed into a fisherman floating on the sea of squid watching the night in the sea, this is a very interesting thing you should try when going to Phu Quoc. It is not as interesting as it is when you can catch the squid that hunts in the sea or catch the swordfish, blue bonefish floating on the sea and the squid you catch will be processed food Seafood dishes serve you right on the boat. Phu Quoc is famous not only for its beautiful beaches but also for its beautiful streams such as Suoi Tranh, Suoi Da Ngon, and Suoi Da Ban. Coming to these streams, visitors have the opportunity to immerse themselves in cool water and at the same time explore the unique ecological system of Phu Quoc primeval forest. In addition to immersing yourself in the cool water, you can also enjoy the feeling of enjoying the unique nature of Jacuzzi Lake on the island. Climbing and admiring the beautiful scenery is also a very good sport to exercise. It is more interesting when your every step of exploring the world is opening up in front of your eyes through every breath. Therefore, climbing a mountain is the best thing to do in Vietnam. If you want to enjoy the exciting and interesting things, you should spend the time to visit Ba Den mountain in Can Tho, Fansipan mountain in Sapa and so on. 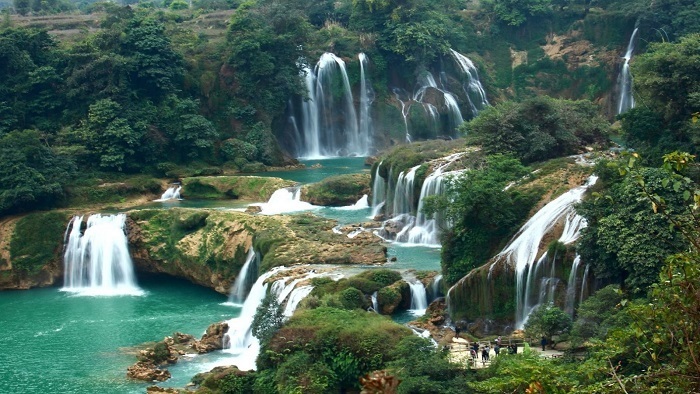 Hope that after the post, tourists will have full and useful information for traveling in Vietnam. If you need more information about traveling to Vietnam, you should spend the time to read the post.